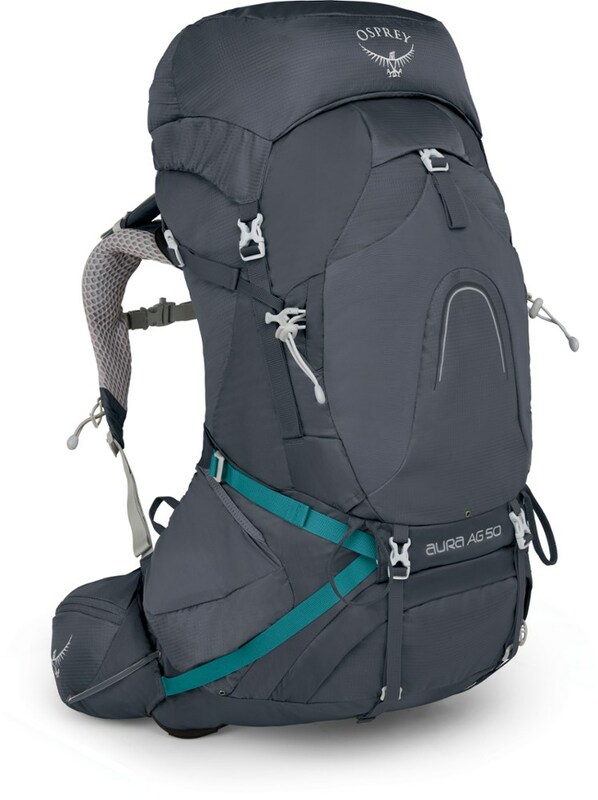 When it came time to get a new pack, I wanted something that could be utilized for a short weekend trip, but also something big enough for longer trips. Another requirement is that it couldn't break the bank. After several trips to REI and other sporting goods stores in my area, and reading several reviews online I selected the High Sierra Titan 65. I have to say, I couldn't be more thrilled with the pack. It has several cool features that really set it apart in its price range and after three excursions it has proven to be quite durable as well. I love the in-pack rain cover, the side pockets (including a cell phone pocket), compatibility with a CamelBak, and many compartments. Fit: Very solid straps that are fully adjustable and fits my torso very well. I am 5'11'' and about 165 lbs, but the straps would be able to fit a very wide range of body types. 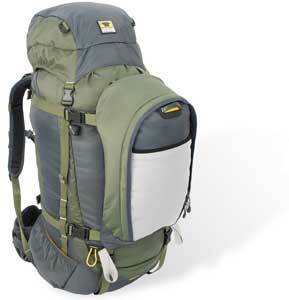 Comfort: The pack has proven to be quite comfortable, even with over 50 lbs over the course of several miles. 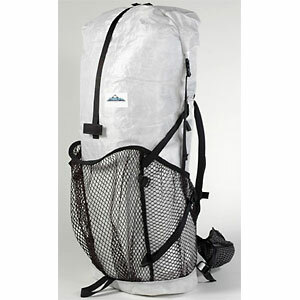 Capacity: It is advertised at a 65L pack and it seems to be equivalent to other 65L packs I have evaluated. It has a large main compartment, a sleeping back compartment and several smaller compartments to store various equipment. It also has various straps and loops to attach things to the outside of the pack. Organization & Accessibility: Three compartments that are accessible without taking of the pack, including two small hip pockets and a small area for a cell phone. The pack has several compartments that are easily accessible and allow you to organize your gear extremely well. Ride: When packed correctly, this pack is very manageable. I've over-packed it and pretty much stretched it to it's limits, but it still was quite comfortable and I was able to hike very hilly terrain and through creeks without feeling off balance. 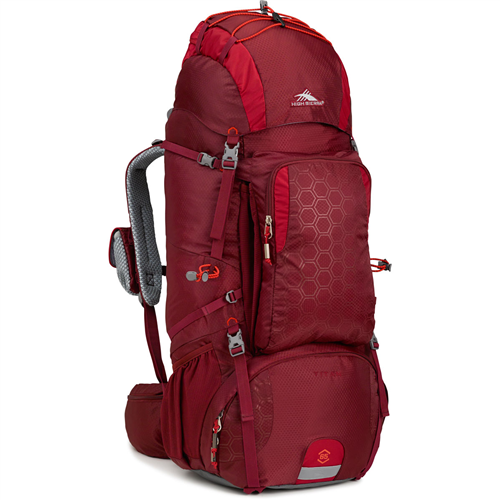 Compression: The pack can adjust to a wide variety of pack sizes, but is best suited for a weekend or longer trip because of the weight associated to the pack itself. Ease of Use: I've found no surprises with the pack and am very impressed with the accessibility of the various compartments. Features: Cell phone and hip pockets. Compatibility with a CamelBak. Rain cover. Construction & Durability: As I've mentioned, the pack is very solidly built, and I've overstuffed it with heavy equipment and it gave me no issues at all. The clips are solid and all the stitching is in great shape. Conditions: I've owned the pack for about 4 months now and have used it 3 times. Once on a 5-day excursion through very hilly terrain in the spring, and two other times on winter weekend trips with hilly terrain. It has yet to see rain, or warm temperatures, but those will be coming I have no doubts that this pack will take everything I throw at it in stride. 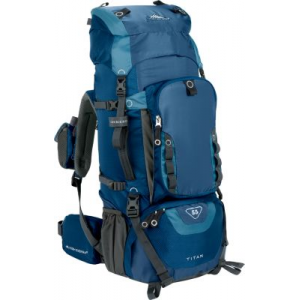 This pack offers a great value at the price point and function mark. It is well featured with adjustable shoulder straps, lots of compression, plenty o' pockets, integrated pack cover, and comfortable hip belt. This pack performed well on a recent 4-day hike along the Florida Trail near the Suwannee River. We hiked a total of 40 miles with 2 days of 80 degree sun and 2 days of 50 degree rain. Isn't that Florida for you? Pre-trip weight out was 36 pounds. Even though this was my first multi-day hike I was not over encumbered by the weight; I felt a definite load transition from my shoulders to my hips. The adjustable suspension system and thick hip belt made my hike pretty comfortable. I felt a strain on my shoulders and lower back by the third day, but I attribute this to fatigue as a little adjusting gave me some relief. In the 'shine, my middle back stayed dry and cool. We jettisoned our packs for a sinkhole side loop and the pack had held up well against a downpour while we were away. Only the top lid compartment was really soaked. All my pack contents stayed dry after cinching my gaudy yellow rain cover. This pack is not short on pockets, straps, or zippers. All of which seem to be well crafted aside from one minor design flaw. The main compartment side-entry zipper lies under the lower main compartment compression strap. After continual use to access our 2lb baggie of G.O.R.P., the c-strap started to split and by the end of the trip was severed. I will also note that the zippers are oversized and are very easy to un-snag, but I did not have a single snag on this trip. The top lid is very spacious and offered plenty of room for quick access items; although, it is not removable. The shoulder straps and front pocket have attachment loops and D rings for tying off gear which was convenient. The sleeping bag compartment is adequate for my Kelty Cosmic Down 20, but I'm not sure it would fit bulkier synthetic bags. The main compartment seemed cavernous for a 65 and has a bladder divider, some attached storage loops (from which I hang my Optimus Crux), and a zipper access to the sleeping bag compartment. The bag body is also outfitted with dual hydration ports with sleeves on either shoulder strap. This backpack is spacious, durable, sturdy, and is comfortable to carry. Carrying this backpack while hiking is easier to carry than others. This backpack fits well for me (a woman) and is super comfortable. 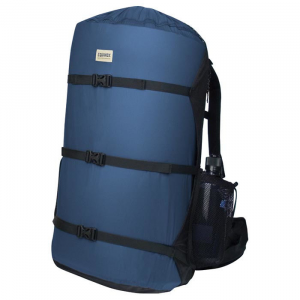 The volume is a little smaller than advertised, equipment is secure, ride is stable, adjusts fairly well to different loads, features of backpacks work as expected, and it is well made. I have used this backpack for about 10 months. This pack is amazing. 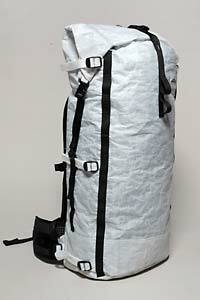 Adjustable, durable, well made and has plenty of room to store all my backpacking needs, and it's lightweight. It's a backpacking must have. Absolutely love this bag. I got the tan and burnt orange, love the space it provides. I'm a mother with hips, and curves, this fit me perfectly. The High Sierra Titan 65 is not available from the stores we monitor. It was last seen November 24, 2017	at SunnySports.